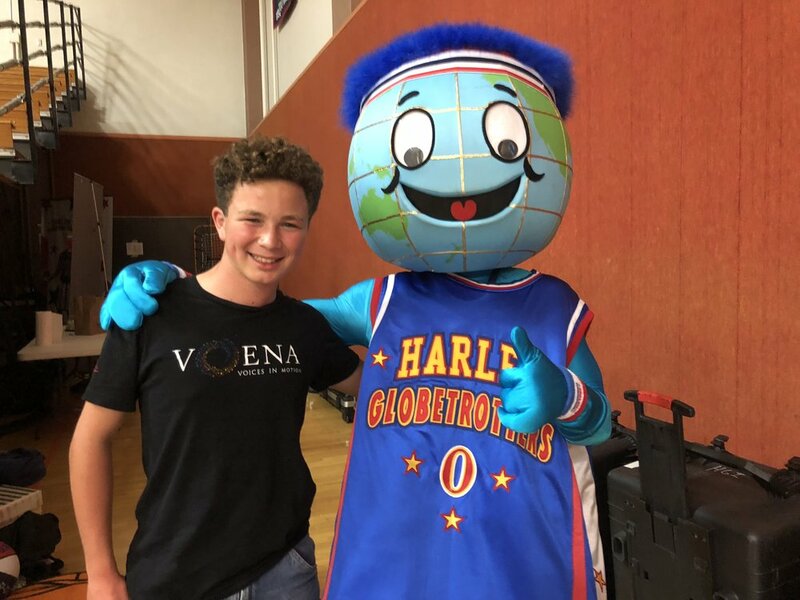 Voena sang the National Anthem for the Harlem Globetrotters game, running onto the gym floor amidst globetrotters as tall as the basketball basket, maybe even twice these kid’s own height for some of those players. They were touched by the movement and physicality of the singers while they sang in 3 part harmonies. Attendees to the game cheered for the final note and hoped to catch any of our children as they made their ways to get hotdogs and chips, just to tell the singers how good they sounded. Harlem Globetrotters invited us to sing next year!